NEW YORK (Reuters) – U.S. stocks slid on Thursday, with the Nasdaq on the cusp of confirming bear market territory, as the Federal Reserve’s plan to continue its balance sheet reduction and the threat of a partial government shutdown fueled investor anxieties. At its session low, the Nasdaq had tumbled 2.85 percent, pushing the tech-heavy index more than 20 percent below its Aug. 29 closing high. The index, along with the Dow and the benchmark , pared losses as the session continued. The Nasdaq ended down 19.5 percent from its closing high, just shy of confirming a bear market. 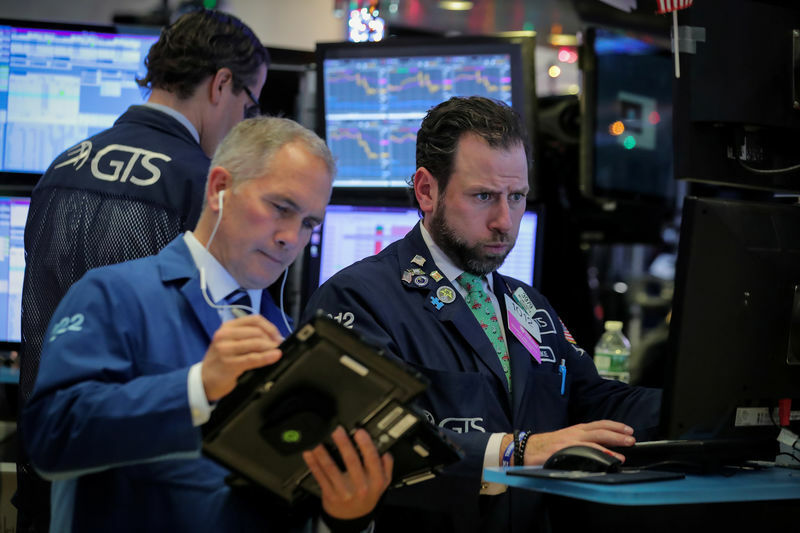 The fell 464.06 points, or 1.99 percent, to 22,859.6, the S&P 500 lost 39.54 points, or 1.58 percent, to 2,467.42 and the dropped 108.42 points, or 1.63 percent, to 6,528.41. Shares of Walgreens Boots Alliance (NASDAQ:) Inc dropped 5.0 percent on the drugstore chain’s weak retail sales, while shares of Conagra Brands Inc slid 16.5 percent after the packaged foods maker gave an underwhelming profit forecast for 2019. Also declining as a result of disappointing corporate earnings forecasts were shares of Accenture (NYSE:) Plc and Carnival (NYSE:) Corp, which fell 4.9 percent and 9.5 percent, respectively. Nike Inc (NYSE:) shares dropped 2.1 percent ahead of the athletic footwear company’s quarterly results. In after-hours trading, however, Nike shares surged more than 7 percent following the company’s report.